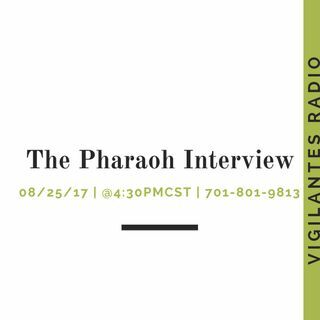 Rapper, Pharaoh, stops by to chat with Dini about his latest single, "New Wave Alert", the moments that he realized music was going to be the rest of his life and what's important for him to showcase during live performances. To find out, set your reminders, it's happening! 08/25/2017 | @4:30PM Central Standard Time | Call in at 701-801-9813 | Please follow our ... Maggiori informazioni show at www.spreaker.com/onlyonemediagroup & remember sharing is caring! Thanks for your continuous support!